The Caol Regeneration Company (CRC) was formed in 2005 as a charitable company limited by guarantee, with the object of contributing to the social and economic regeneration of Caol. As part of its remit, CRC proposes to establish a community-owned marina adjacent to the Southern outlet of the Caledonian Canal. This would offer much-needed marine services such as slipway, moorings and related services to visiting yachts and boats as well as local boat owners. The potential for berthing cruise liner tenders is being explored as a standby or alternative to the recently developed Fort William pontoons, as well as collaboration with the School of Adventure Management at West Highland College UHI. Local schools have expressed an interest in linking maritime activities for pupils to their curricula. The marina would contribute to the tourism infrastructure required by the Outdoor Capital of the UK, resulting in increased marine visitors. It is intended that the Centre would operate as a social enterprise, offering healthy lifestyle choices in outdoor marine activities. CRC works in partnership with a number of agencies such as Highland Council and Highland and Islands Enterprise, contributing to community planning and other areas of community development. Its directors come from all areas of local life – business, Highland Council, private individuals, agency advisers and local charities. CRC has consulted widely on its proposals for a marine centre, including well-attended public meetings when professionally developed plans were presented for scrutiny. The project enjoys wide support and, after a rigorous application and review process, CRC has been awarded planning permission as of 17th May 2017. Agencies including Highlands and Islands Enterprise, Highland Council, Scottish Canals, and The Crown Estate have provided consistent financial support to pre-construction effort including the recent appointment, via LEADER funding, of project managers. Northern Light Consulting, a local firm, were retained in February 2017 (after a public tender) to raise the capital funding needed to build the marina and subsequently to manage procurement and supervision of contractors. A 2011 report developed the initial concept of a marina of just over 80 berths, capable of hosting a range of boat and yacht sizes on pontoons arranged in the shelter of floating breakwaters. Shore facilities normally associated with a marina were also envisaged, including a service building to house reception, toilets and showers, as well as a fuelling point and effluent management. A car and boat park was incorporated in the plan, and a slipway for the launching and recovery of day boats, trailer sailers and the like. A preliminary estimate put the cost of the development at around £3 million. The report however made it very clear that further detailed engineering studies were required to determine issues such as hydrographic and geological conditions. These studies threw up the need to relocate the floating infrastructure in deeper water so as to minimise disruptive and costly dredging. This in turn generated further redesign work and a new layout, as shown on the drawings to be found elsewhere in this website. An example of the evolution of project design is that Scottish Canals have offered the use of their existing buildings for reception and facilities. These buildings will in effect be restored to better than existing condition, and importantly there will be no requirement for new buildings on the seaward side of the railway track. Similarly the original concept of utilising the narrow strip alongside the railway track as a boat and trailer park has been dispensed with. Also reflecting local consultations, the scale of the marina has been reduced to approximately half of the number of berths originally envisaged. 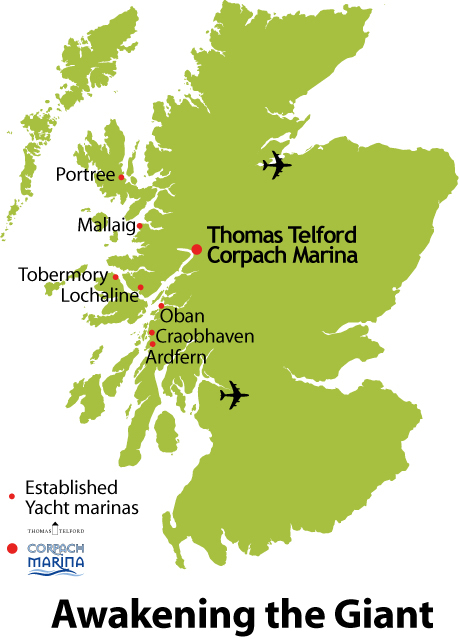 A company limited by guarantee has been formed, known as Thomas Telford Corpach Marina Ltd. However, until the final decision is taken to invest in construction, a small working group has been formed under the aegis of CRC. The group was formed and initially chaired by the late Dr Su Sen, until his retirement from public life. His contribution and inspiration are recognised by all. Secretarial services are provided by Linda Campbell of BOSS Secretarial. The steering group meets monthly to maintain momentum on the project. Effective partnership is seen as key to a successful outcome. As well as the wider community, and in particular as represented by Kilmallie and Caol Community Councils and the local members of the Highland Council, The Crown Estate and Scottish Canals are critical partners. We have entered into a five year Local Management Agreement (LMA) with The Crown Estate securing our rights to the seabed subject to certain conditions, and they have been highly supportive in other ways. Scottish Canals are proposed as our principal operating partners, with integrated ways of working. Both of these organisations are also landowners within the site required, as are Lochiel Estates who have similarly expressed support for our aims. To be successful, the project is dependent on the support and cooperation of all these partners, and especially that of the local communities. We are mindful of the setting of the marina, iconic both in terms of landscape and heritage, and it is our objective to deliver a project which will as far as possible be fit for that setting and wherever possible enhance it – such as our proposal to collaborate with Scottish Canals on the refurbishment of their existing buildings, rather than constructing new. 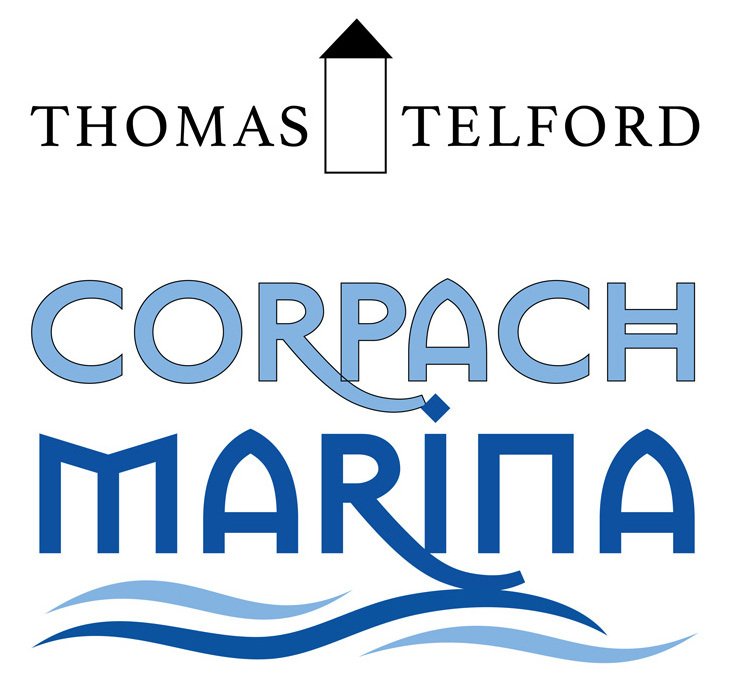 This will be complemented by our vision of how the marina should operate in practice – as a centre for the enjoyment of the water, with workshop activities in the main being conducted elsewhere. As regards the wildlife in the environs of the bay, we shall be guided by the formal views of Scottish Natural Heritage. It is our intention to set the highest environmental standards in the development and operation of the marina, to that end we shall shortly be joining the British Marine Federation Scotland and pursuing their structured approach to this subject via “The Green Blue”. As a future player in the Outdoor Capital of the UK (OCUK), we intend to develop access to the local lochs, rivers and canals. For visitors these offer recreation, relaxation, challenge and environmental education and, in doing so, provide an attraction to visitors to spend more time in the area. For locals, the water offers the same appeal and can form an important part of an active and healthy lifestyle. In addition, we would expect this project to offer opportunities for employment, training and volunteering as it moves towards completion. Until recently, Caol was within the 15% most deprived areas in Scotland (per the Scottish Index of Multiple deprivation) and still suffers from relatively high unemployment and limited opportunities for job creation. The experience already discovered by both Mallaig and Lochaline marinas was that the direct spend from visiting yachts was making a material positive impact on local businesses and we would hope to be able to replicate this in the Caol and Corpach areas. Provision of marina facilities is also highlighted as a priority in the Lochaber Community Development Plan, particularly recognising the significant impact they have on small, fragile communities. During 2009 and early 2010, Scottish Enterprise commissioned a report by the Tourism Resources Company entitled “Sailing Tourism in Scotland”. The report concluded there is a short fall in berth facilities going forward over the next 10 years. For the West coast in particular that short fall equates to 617 Annual berths and 343 Visitor berths. Another report ‘Overview of Marine Leisure Tourism Sector in Lochaber’ (Sept. 2006) by Stewart Millar Associates, has clearly established the local need. The recently launched Marine Tourism Strategy for Scotland, “Awakening the Giant“, is an excellent fit with the aims of Corpach Marina. A link to this important new strategy document can be found here. The proposed facility will meet the needs of the marine leisure sector which are inadequately catered for at present in upper Loch Linnhe. There are limited places to land or launch small craft which is a major constraint on the development of marine tourism in Loch Linnhe, and none of the ‘walk ashore’ convenience within the safe haven offered by a marina. Finally, the centre will involve collaborative working between the communities of Caol and Corpach as the best location is on the border between the two. There is an opportunity to add to the marine infrastructure of Lochaber, offering valuable new facilities for locals and visitors alike, and complementing existing businesses. This has the potential to create employment, and to link with Scottish Canals and other marinas down the West Coast in meeting the exciting challenge of Scotland’s new Marine Tourism Strategy. The aims of the project group are to secure the necessary Marine Scotland licence before the end of 2017, and to continue applications for construction funds in parallel. We expect to progress contract procurement during 2018; and to commission the marina during 2019. There will be many hurdles to overcome if these ambitious targets are to be achieved, but the group is committed to working towards these with the support of local communities.